Protecting-Group-Free Solid-Phase Anchoring of Polyphenolic C-Glucosidic Ellagitannins and Synthesis of 1-Alkylamino-Vescalagin Derivatives Eur. J. Chem, 2014, 23, 4963-4972. Canon F, Milosavljević AR, van der Rest G, Réfrégiers M, Nicolas C, Nahon L, Sarni-Manchado P, Cheynier V, Giuliani A.
Photodissociation and dissociative photoionization tandem mass spectrometry for structural proteomics. Angewandte Chemie Int. Ed. 2013, 52 (32), 8377-8381. Pouységu, L.; Deffieux, D.; Malik, G.; Natangelo, A.; Quideau, S.
Synthesis of Ellagitannin Natural Products. Nat. Prod. Rep. 2011, 28, 853-874. Quideau, S.; Deffieux, D.; Douat-Casassus, C.; Pouységu, L.
Plant Polyphenols : Chemical Properties, Biological Activities, and Synthesis. Angew. Chem. Int. Ed. 2011, 50, 586-621. Chassaing, S.; Lefeuvre, D.; Jacquet, R.; Jourdes, M.; Ducasse, L.; Galland, S.; Grelard, A.; Saucier, C.; Teissedre, P.-L.; Dangles, O.; Quideau, S.
Physicochemical Studies of New Anthocyano-Ellagitannin Hybrid Pigments. About the Origin of the Influence of Oak C-Glycosidic Ellagitannins on Wine Color. Eur. J. Org. Chem. 2010, 55-63. Yoshida, K.; Mori, M.; Kondo, T.
Blue Flower Color Development by Anthocyanins: From Chemical Structure to Cell Physiology. Nat. Prod. Rep. 2009, 26, 884-915. Crozier, A.; Jaganathb, I. B.; Clifford, M. N.
Dietary Phenolics: Chemistry, Bioavailability and Effects on Health. Nat. Prod. Rep. 2009, 26, 1001-1043. Viton, F.; Landreau, C.; Rustidge, D.; Robert, F.; Williamson, G.; Barron, D.
First Total Synthesis of 14C-Labeled Procyanidin B2 – A Milestone Toward Understanding Cocoa Polyphenol Metabolism. Eur. J. Org. Chem. 2008, 6069-6078. 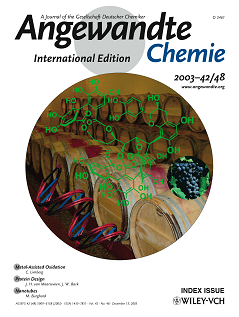 Quideau, S.; Jourdes, M.; Lefeuvre, D.; Montaudon, D.; Saucier, C.; Glories, Y.; Pardon, P.; Pourquier, P.
The Chemistry of Wine Polyphenolic C-Glycosidic Ellagitannins Targeting Human Topoisomerase II. Chem. Eur. J. 2005, 11, 6503-6513. 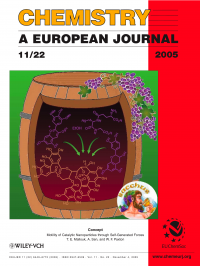 Quideau, S.; Jourdes, M.; Saucier, C.; Glories, Y.; Pardon, P.; Baudry, C.
DNA Topoisomerase Inhibitor Acutissimin A and Other Flavano-Ellagitannins in Red Wine. Angew. Chem. Int. Ed. 2003, 42, 6012-6014.